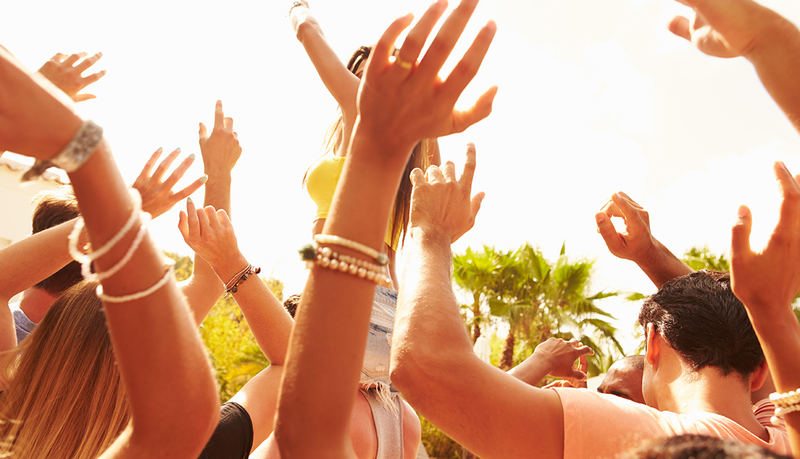 Finding a local festival while traveling is another great way to learn about the culture of the regions you explore. Large crowds of people, from a few thousand to a few million, bring high energy and a fun environment, but can also create difficult situations if you get stuck in need of help or without supplies. Here are a few tips to help people with diabetes navigate the crowds and enjoy the events as much as possible! Use your phone for more than taking videos and pictures. Set an alarm reminder for insulin doses and testing blood sugars. Don’t forget to wear your medical ID bracelet. Also make sure the people you’re with know you have diabetes and what to do if you need help. Locate the medical/first aid tents upon arrival. If you need help you want to be able to get there as quickly as possible, and not waste time in the wrong direction. Keep hypo treatments with you at all times, and stock up on extras! Make sure your insulin stays cool if it is hot out. It is a good idea to bring your own cooling pack, but if forgotten you can likely store what you need at the first aid station. Bring a doctor’s note with your medication on it in case you need to buy extra supplies from the on-site hospital. Don’t forget a receipt if you are planning on asking your insurance for reimbursement! Instead of checking blood sugar, changing your pump, or giving injections in the main restrooms, try using the family area or first aid center for a cleaner, less crowded environment. Before leaving, talk to your doctor about dividing up your long acting insulin dose so that any missed or late doses will have less of an impact. Stop by a local grocery store to stock up on extra snacks and food. Keep an eye on your drink, and only drink what you’ve poured or opened yourself! Your water bottle is your friend and so is that sunscreen! Reapply sunscreen frequently and remember that you need to drink even more water when you’re out in the heat. It may be necessary to check your blood glucose levels more often because heat can affect your rate of insulin absorption. And of course, enjoy yourself! A few festivals you don’t want to miss! Sundance Film Festival: This independent film festival takes place in Utah and hosts many of the top actors and actresses from around the world. Holi Festival: This gathering takes places primarily in Nepal and India, and attracts thousands of people in the celebration of the end of winter and the victory of good over evil. Brightly colored powder is thrown in the air as strangers and friends alike dance and celebrate. Carnival: Beginning the Friday before Lent and ending on Ash Wednesday, many Brazilian cities such as Rio de Janeiro and Sao Paulo celebrate 6 days of costumes and festivities before the conservative, religious weeks of Lent. Hajj: One of the five pillars of Islam, the Hajj journey to Mecca is made by millions of Muslims around the world. Running of the bulls: Pamplona, Spain is famous for its annual bull running event where bulls are released into the streets as runners chase them toward the bull-fighting ring. Mardi Gras: Spanning nearly two weeks, Mardi Gras celebrates the last days of indulgence before Lent begins. Lavish costumes and parades impress the thousands of tourists who flock to New Orleans. Glastonbury: This annual music festival in Pilton, England has its roots in the hippie culture of the 1970s. Hundreds of globally recognized artists perform in the tented fields of Pilton for several days in the summer. Oktoberfest: The streets of Munich, Germany are filled with amusement rides, food stands, and a myriad of Oktoberfest beers during the last two weeks in September. Millions of visitors pour into the streets and fill the tents as festivities continue day and night. Coachella: America’s most profitable and attended music festival, Coachella boasts an attendance of nearly a half million people annually. The Coachella Valley of California fills with tents as concert-goers prepare for several days of performances from hundreds of diverse artists. Time’s Square NYE: New Year’s Eve is celebrated globally, and New York City does it in style. People wait in Time’s Square for upwards of 12 hours to see famous artists perform and for the ball to drop. Dia de los muertos: In Mexico and Central America, October 31st is observed as the day of the dead. Lasting until November 2nd, religious rituals are performed to honor the deceased and to encourage communication with those who have passed.